WordPress Justify Text and Underline? Is it still possible? Yes! 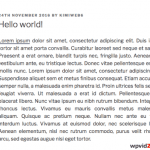 As you know the Justify und Underline buttons are gone in WordPress 4.7, what now? Don’t worry, you can still justify and underline text in WordPress 4.7 with the following simple tutorial. Those two buttons were used to be next to “Paragraph” drop down menu in the text editor. 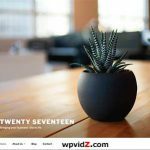 WordPress 4.7 “Vaughan” was released, here you will find what are the new features of WordPress 4.7? Pictures, also comparison with the older version is provided.